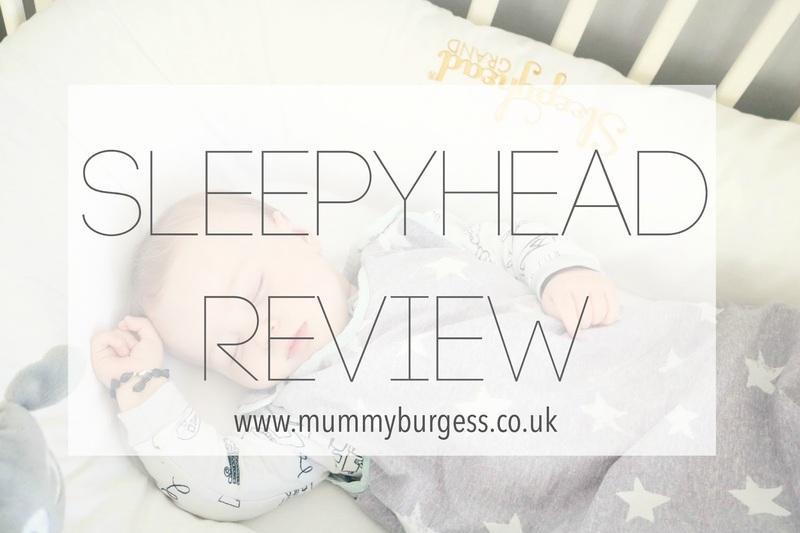 I have been wanting to write this post for a while now, especially since a lot of people have asked my my opinion on the Sleepyhead, but I have finally got round to writing down my thoughts. Before I jump into the review I just want to highlight that this has not been sent to me for review. My lovely parents actually purchased this for Henry (well me really!) for Christmas, after me going a little nut's that Henry wouldn't settle in his cot after being an amazing sleeper in his moses basket. I had high hopes that the Sleepyhead would work wonders and make my little boy settle at night. All mum's know that the way to a happy mamma is to have a happy sleeping bubba. Exhaustion due to restless nights are the absolute worst. In my eyes if something claims to bring magic sleepy dust then it most certainly will grab my attention and usually, my money too. So what does the Sleepyhead claim? The Sleepyhead Grand is a unique multi-functional stage 2 pod, which makes the Sleepyhead a complete sleep system. It is aimed at children aged 8-36 months (the Sleepyhead Duluxe is also available for babies aged 0-8months). The pod doubles up as a lounger, for sleeping and is fantastic to use whilst travelling. This is the product for those babies/children who love a sense of security of being surrounded and snug. When I read that it was an ideal product for those babies who liked the feeling of being snug and secure, I knew this would be perfect for Henry. He loved being in his Moses basket because of the security it brought him and as soon as he transitioned into his cot, that's when our problems began. 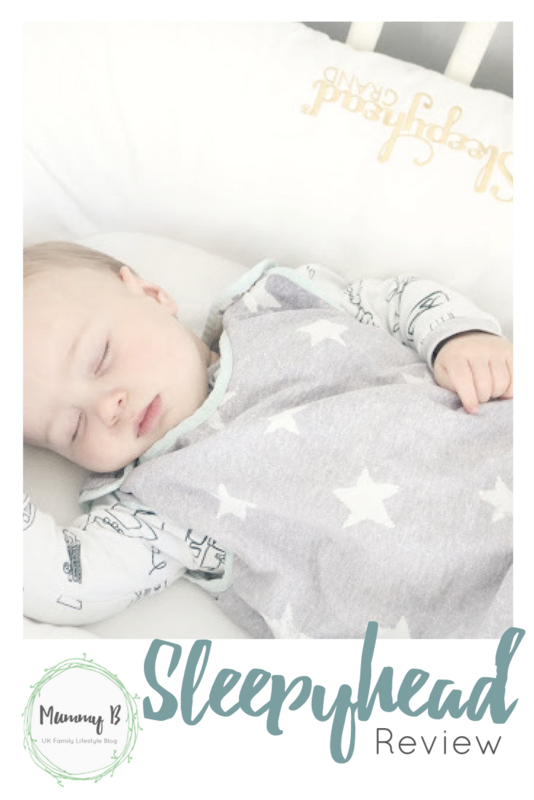 As I started doing my research I read that a lot of people said that their babies quickly out grew the smaller Sleepyhead (the Sleepyhead Duluxe) and as Henry was (at that point) 4 months, to look at getting the larger size. So taking fellow mummy's advice we did exactly that. The first night (Christmas day) we put him in, he fell to sleep like a dream. He looked completely snug and slept so soundly. I was absolutely over the moon and at that point was adamant that its £165 price tag was completely worth it. Four months down the line, what's my opinion now? It's still worth it. Of course, we are now dealing with other issue's like teething that is giving us a few sleepless night's at the moment (he cut his first tooth today! ), but the Sleepyhead is still working its magic. It's the first thing I recommend to mummy's who are struggling with their little ones at night. I only wished I had made this purchase with Darcie as I know for a fact it would have worked with her too and would've saved us from almost two years of very little sleep. Damn my stubbornness. 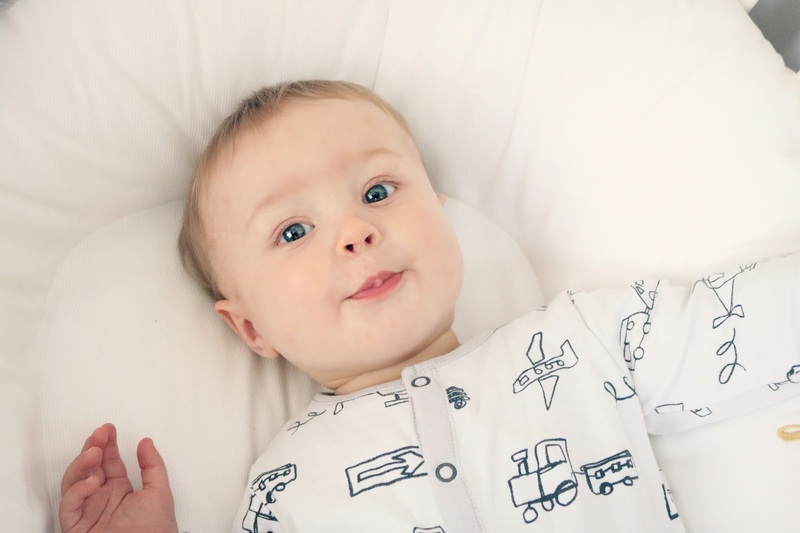 Many people often say they're concerned with the safety aspects of the Sleepyhead, which is understandable as we're advised that babies should sleep in the cot with nothing else around them for optimum safety. But the Sleepyhead has been vigorously tested, to make mum's feel confident that their precious bundles will be safe at all times. Even though Henry is now quite the wriggler he is still completely safe and above all happy and sleeping peacefully (unless he's teething of course!). The Sleepyhead comes with the option of various covers, all of which can be easily removed and cleaned. I personally have used a fitted sheet with mine which works brilliantly, this has saved a few quid too as the cover's are a little steep in my opinion. You can pick up the Sleepyhead Grand (£165) & Duluxe (£110) from John Lewis.